For over three decades Cranfield Aerospace (CAe) has been at the forefront of UK engineering and innovation. The Airfield Ground Operations (AGO) division is the UK’s leading provider of Runway Friction Surveys, Helideck Friction Testing and Independent Evaluation. 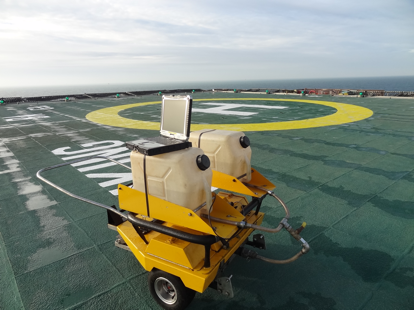 Over the years Cranfield Aerospace has supported runway and helideck friction testing at airports and offshore installations around the world. Based at Cranfield Airport in Bedfordshire, UK, we have the equipment, facilities and experience to meet any friction monitoring related requirements, as well as being perfectly placed to offer independent advice and third-party correlation studies. We also have unique access to the only Water Ingestion trials facility in the UK. 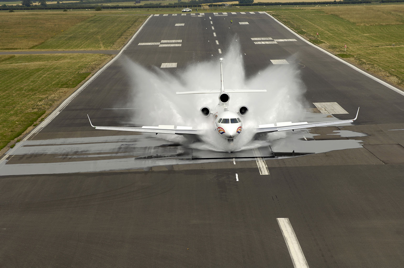 Cranfield Aerospace (CAe) is the leading expert in conducting runway friction tests throughout the UK and around world. 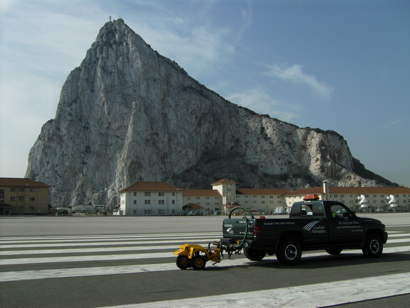 Operating only UK CAA accepted Continuous Friction Measurement Equipment (CFME) devices, CAe is perfectly equipped to perform safety critical runway friction tests and support independent evaluations for military, civilian and international customers alike. All staff have a wealth of knowledge and experience in operating under international standards such as UK CAA CAP683, ICAO Annex 14 and UK MAA MADS (formally JSP554). Cranfield Aerospace (CAe) have the unique capability to run, manage and support water ingestion trials at the UK’s only specially constructed testing facility. Our unique facility is integrated into the main runway at Cranfield Airport and allows complete control over the number of runs, direction and depth of water required to meet regulatory requirements. Each dedicated trial is designed with full customer input in order to get your aircraft through to certification. As an independent third-party, Cranfield Aerospace is perfectly placed to offer its services to help your company demonstrate capability. Over the years, CAe has performed correlation trials between friction measurement equipment, assessment studies on new helideck surfaces and worked with the UK CAA on procedures and standards. CAe also has experience in providing independent advice on runway friction in support of accident investigations.